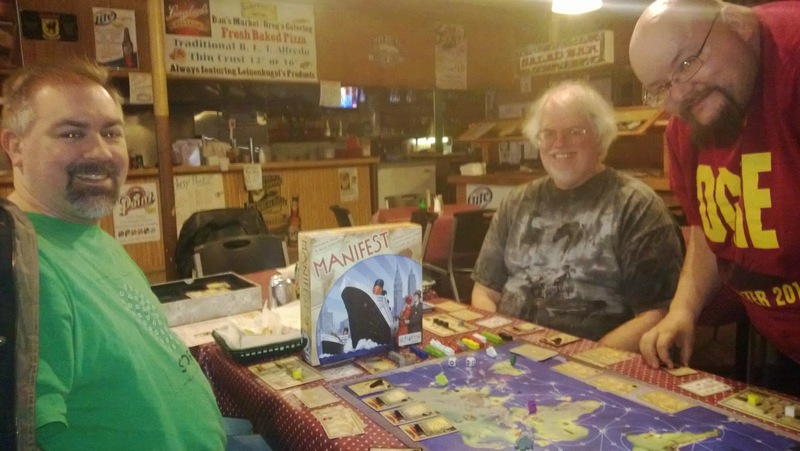 I was unaware of Manifest (2014) until a friend brought it up at the 4th Anniversary Lake Geneva Games gameday. 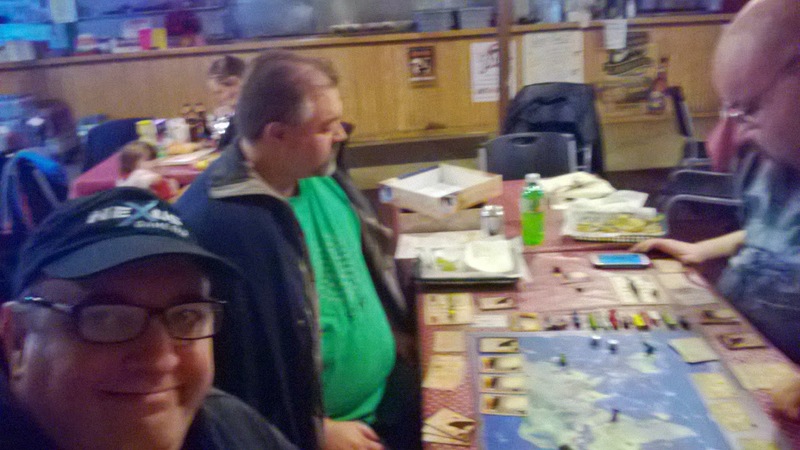 Several of us played a learning-game of it, which got us in the mood to play again sometime. So, at the Franksville gameday the next month, the two of us were somewhat school gathered two others and taught them the game, then promptly played another right on its heels. It's a solid game with fine components. I obviously enjoyed it, to play it three times in a short period, and I would recommend it for anyone's collection who likes such games. It's the roaring '20s and there's a fortune to be made steaming across the wild oceans. To succeed, you'll need a captain's steady nerve and the help of Lady Luck to land your cargo where it's needed. You have ships full of passengers and precious cargo, but can outrun pirate robbers, terrifying storms and a world depression that might devalue your goods? Manifest is a game of cargo ships, sea scoundrels, and nautical mayhem. Win points for your shipping company by completing Contracts. Pick up certain goods or passengers at their source, then navigate the high seas to deliver them to a port where they are wanted. With a choice of private or public contracts and multi-purpose action cards, there are many paths to victory, and some "take that" options to make sure your opponents don't steal the limelight. Manifest can be played in two ways: Standard and Expert. The Standard game is the introductory and family game. The Expert game builds on this, with a deck-buying and building mechanism replacing the blind card draw, thus adding another level of strategy that confident players may prefer. Be the first player to complete Contracts to the point threshold (it varies by the number of players). When any player triggers the threshold, every other player gets one more turn to try and beat the score of the person who triggered the last round. There are a couple of levels of play. The base game is the Pick Up and Deliver game with Point to Point Movement and a bit of Dice rolling in relatively limited circumstances. Players get contracts to pick up one (or sometimes more) type of cargo or passenger from one or more potential locations and deliver same to a particular market. There are some open contracts that anyone can fulfill but mostly the details are hidden from other players. There are pirate waters which can almost always be avoided and the game mainly comes down to cycling some contracts to get the ones you can fulfill most quickly to achieve a victory point total ahead of rivals. There are setbacks along the way for everyone, so nothing is guaranteed, and it isn't just the lucky draw player who will win. The advanced game adds a Deck Building element that keeps the feel of the base game but increases the complexity. It makes you feel more in control of your destiny but at the same time increases how dangerous your opponents can be to your plans. It's quite sinister in that regard. I really do recommend this game and will play it again soon, I hope. Manifest (2014) was developed as a Kickstarter project in early 2014 here. 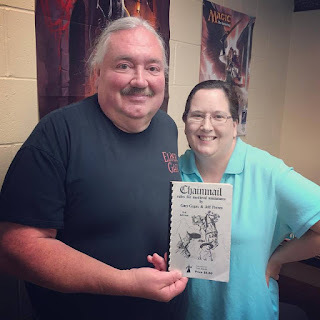 The publishers of the game have made the rules available through Board Game Geek here.